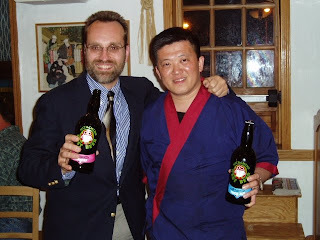 One of the last functions I organized as an employee of Maryland distributor Legends, Ltd. was a beer and saké dinner at Matsuri in the Federal Hill neighborhood of Baltimore, Maryland, in May of 2004. I served one non-Kiuchi beer that evening: Kelpie, a Scottish beer brewed with seaweed. 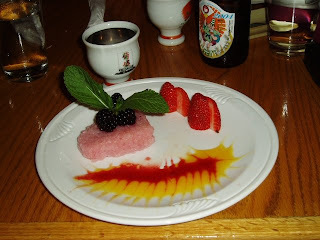 The dinner finished with 'Pink Sushi' for dessert: sticky rice soaked in berries and finished with a fruit glaze.